VT#: 11-0269Piston set moly coated 3-7/16" bore and is .020 oversize. VT#: 11-0272Piston set moly coated 3-7/16" bore and is .050 oversize. 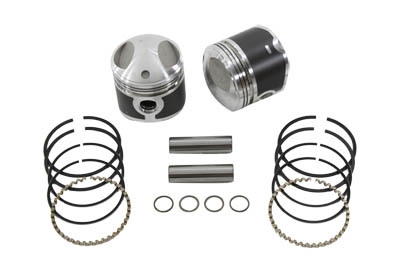 VT#: 11-0268Piston set moly coated 3-7/16" bore and is .010 oversize.